We thought it’d be cool to give a bit of an insight into what it’s like as a Lattice Board assessor and how our team operate. Lots of people know about the data, the rationale for testing and what kind of results we see out the other end but the faces behind the data collection and coaching can sometimes be a bit more mysterious. As our Lattice Board assessor teams have grown over the last couple of years, we’ve become aware that some coaches consistently go above and beyond. They’re the ones that have a particularly high attention to detail, are always questioning what’s current, put in the highest level of support to their clients and seem to do this relentlessly. One particular duo that stands out on this front, is the HarroWall assessor team – Chris and Yorkie. Since their first assessments, they’ve constantly tried to improve their coaching and profiling knowledge and are a real credit to the assessor team. The fact that they actively pursue us to help collect more data or research certain areas of climbing is amazing! 29 years old and coaching 10 years (8 years specifically in climbing). A big reason why I do this work is the relationship and rapport I build with the people I coach; I’ve taught people how to tie their first figure of 8 and seen them go on to win National Competitions versus going climbing with people I initially met through coaching them. 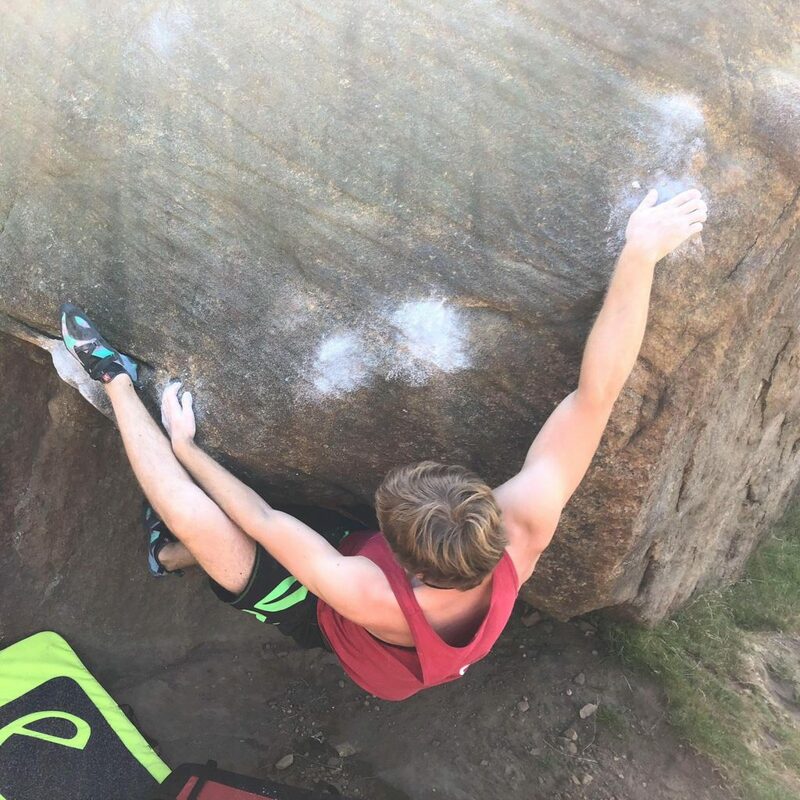 I enjoy coaching as I like to know the science behind how the body works in certain moves and how it reacts when climbing, which works perfectly with setting! What made you become a Lattice Assessor initially? Yorkie: I’ve always wanted to progress my knowledge of the science behind movement and how we work in terms of climbing and when I first heard of Lattice, I just thought it was another one of these little tests just to get a basic profile of yourself with something to progress from. That was until my coach at the time asked me if I wanted to do a lattice assessment and discovered that it was so much more and went into full detail from exactly how strong my fingers are in comparison to where they need to be to how my recovery rate it or how well my forearms work when packed with lactic acid, and just wanted to discover more! You’re obviously experienced coaches and climbers, but what has the tool brought to your coaching set up and working with your own clients? Yorkie: For me, it has given me a better understanding of different energy systems and how they work in certain scenarios as well as allowing my clients to unlock a new path into specific, targeted training to help them improve. I have also done various assessments to find out where I am at with my training so I can then pass on this information to other. We are also looking into adding more data to the Lattice database on how technique and weighting feet correctly effects client’s current results and how they can improve in these ways as well as energy systems, functional movement or finger strength. What’s it been like working with Tom and Ollie. Do you get extra support as an assessor? Is knowledge available? It’s not like that at all, in fact the complete opposite. Myself and Chris are always messaging the guys in terms of potential weird results that come back, random questions, how certain parts of the assessment may be improved or how parts of the assessments effect the client and we always get a quick response. Any changes to the system, the guys always let us know and constantly feedback as well as giving us more info on new things that they are planning with Lattice, even if it’s subtle. What kind of differences do you find having an assessment makes for the way in which you work with clients? Yorkie: As we’ve only recently been taking more assessments, we haven’t seen much difference as a lot of the clients are external to us and travel some distance from their local walls. As I’m super busy at the moment and Chris is in charge of instruction and coaching at HarroWall, we haven’t had the chance to sit down and create training plans and work that closely with some clients. When things begin to settle down, this is something we will be looking into. But when working with clients, we now know what to expect during an assessment and can give them predictions on what they may need to start training before they get their results back or training plan. What’s the most interesting thing you’ve seen so far?! Yorkie: I had this recent assessment (which results are still ongoing), where during her lactic curve test, her result typically started decreasing (as you’d expect when getting pumped) and then start to score higher than her previous results. Something which even Tom and Ollie don’t often see. Her finger strength isn’t out the ordinary, she wasn’t particularly still learning the circuit, we even did fingerboard tests following on from the assessment to eliminate the learning factor and technique and received similar results. From this we’ve decided that her recovery rate is so incredible, that she should become a route climber instead of a boulder! This was something that I never expected to come up, especially so early on in taking assessments. Have you seen much of a growth in interest around assessments? If so, any thoughts on this? Yorkie: Assessments have been getting popular and we have had a lot of interest on them. As we haven’t really advertised them that much as of yet, Remus and the Lattice team have been getting tons of enquiries about assessments in London and have been receiving lots of these and taking them as and when we can. As mentioned above, we are doing everything we can to fit assessments in but is tricky finding that balance between our day to day work and Lattice. We have even thought about training up another member of staff to help with this load. 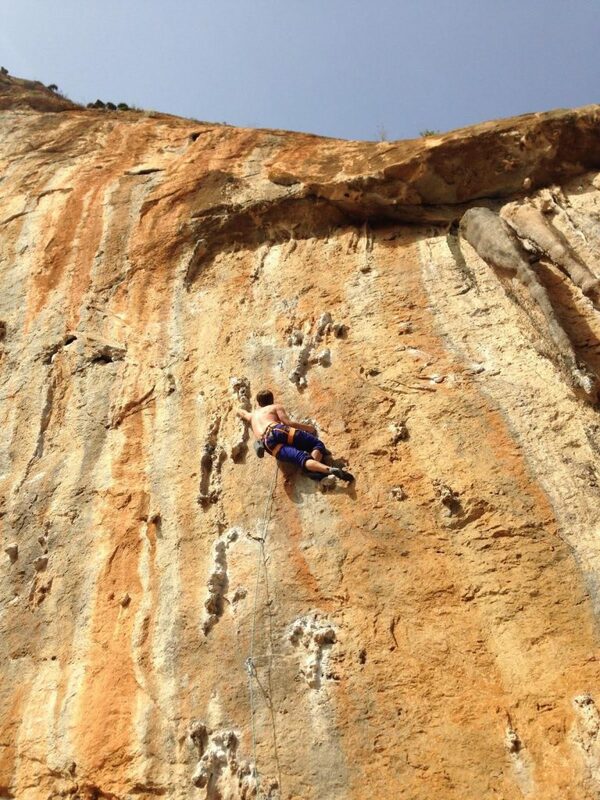 Do you work with a mixture of boulderers and route climbers? Yorkie: Of course as we’re a bouldering centre, we do get a few enquiries through the wall and especially with the amount of boulder walls appearing in London. I don’t think many people realise that the Lattice board is not just for endurance/routes but does cover things that apply to bouldering from your anaerobic abilities to shoulder stability and finger strength! 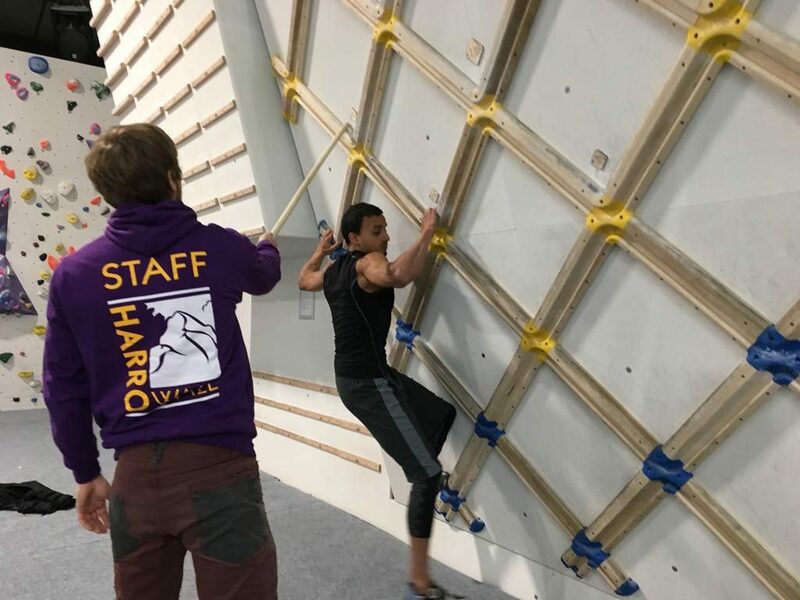 When it comes to route climbers, being in the west is handy as Westway is not too far from us and are happy to help those climbers understand the areas they need to improve either in their gym or outside. What’s HarroWall like for training? Yorkie: Perfect! Everything you need to help you on your way to 8a and higher! We are always looking to improve it too. We have a circuit board with grades from 5 all the way up to 8a+ and are looking to incorporate another board to increase the amount of circuits we have as well as potentially having higher than 8a+ routes. On top of that for our endurance side we have 10 lines of auto belays for that aero training (like 10mins on, 5mins off) as well as the power tunnel which is a 60 degree roof that’s just over 10m long with routes in there from 5 up to 8a. With being the biggest bouldering gym in the UK, there is plenty of bouldering as well as training boards to help you on your anaerobic side too with an amazing rig set up in our gym for cardio, finger boarding (with pulley systems), TRX and rings. We are also looking into having our Lattice board articulated to range from 10 degrees to 30 degrees for those who want to train aerobic or anaerobic on there and take any client for an assessment! If someone wants to book in for an assessment with you guys, what’s best? Yorkie: Best thing to do is ping both of us an email (Chris and Yorkie) with dates you’re wanting to book an assessment, your max lead or boulder grade and we’ll give you all the information you need for our board, how much is costs and what we need you to do beforehand. We recommend looking to book your assessment about 2-3 weeks in advance to provide us with the most flexibility to work dates out for you. The ideal booking would be during the day but understand that people have to work but can do bookings for most dates/times as long as myself or Chris are around and there isn’t an event occurring.